The simple past tense is the past tense in Spanish with more irregular verbs. These changes are different according to the group of verbs. A few days ago Andrea received a letter that touched her a lot. The letter arrived at his house directly from London with the name of his brother James. The sweet English girl could not contain her tears when she saw the paper written in ink. No one writes by hand anymore. Everyone uses the internet to send emails or communicate but the truth is that sending a letter with your own letter is still something very special that technology can not suppress. When Andrea read the words of her brother with all those strokes and drawings of an eleven-year-old boy, she remembered old times that made her go back to her childhood. Three days ago exactly the letter arrived in his hands and since then he can not stop reading it. “Hello Andrea! I’m James. I’m writing to you because I have not heard from you for a long time. How are you? How’s madrid? Around here in London everything remains the same but we miss you so much. Yesterday we went to Aunt Mallory’s house to eat and play rugby with our cousins. Do you remember the last time we were there? Andrea realizes that she has been more aware of her life and that she has neglected her family a little. Many things have happened since he left and do not want to lose contact. After all, the family is always the most important thing. After thinking a lot about the things she wants to say to her little brother, Andrea picks up her pen and begins to write the letter. “Dear Jim, I’m so sorry I did not write before. I have a lot of work and study, and sometimes I do not have time to write to you. I read in your letter that you are going to play your first rugby match. That is fantastic! I am very proud of you. I wish you the best. You are going to do it very well. Around here in Madrid all good. I have met many friends from many different countries and I have seen incredible things. Do you know that last weekend I was in a magical market? It was an unforgettable experience. I thought of you at all times. Next time you have to come with my little brother. We have lived great things together, huh? You have always been a scoundrel. I remember when you drove dad’s car when he was seven years old. You said you wanted to go home for grandma. Since then, Dad sleeps with the keys under the pillow. How are the grandparents? I have not known anything about them for a long time. You give them a big hug from me. Simple perfect tense irregular verbs Spanish list. 3 / Grammar: Simple perfect tense irregular verbs Spanish list. These three verbs have a special form in the root like the verbs have (tuv-), estar (estuv-) or poder (pud-). They share, in addition, the same terminations except the form of them-they-you; they were not-they were -eron. This orthographic change only occurs in the form of the self. -The other day I drove ten hours. -They told me wonderful things about you. -My father built this house. -The thieves fled the police. -I started studying Spanish a year ago. -I arrived in Madrid yesterday. -I looked for you everywhere and I did not find you. 1- What did Andrea receive at home? Andrea received a letter from her brother James who is in London. 2- What was Andrea’s reaction when she saw the letter? The sweet English girl could not contain her tears when she saw the paper written in ink. 3- Why is it special to write by hand? Handwriting is special because nobody does it anymore, everyone uses the internet. 4- What did Andrea remember when she saw her brother’s letter? When he read his brother’s words, Andrea reminded himself of his childhood. 5- Who did James visit? James and his family went to Aunt Mallory’s house to eat and play rugby. 6- What did Andrea and James do the last time they were at their aunt’s house? They took their skates to go to the frozen lake and skate with Sarah and Jesse. 7- What has James started to practice? James has started training in the school rugby team. 8- Why does Andrea feel bad? Andrea realizes that she has been more aware of her life and that she has neglected her family a little. 9- What does Andrea remember when writing the letter? Andrea remembers when James drove his dad’s car when he was seven years old. 10- Since that day that dad has done? Since then his father sleeps with the keys under the pillow. 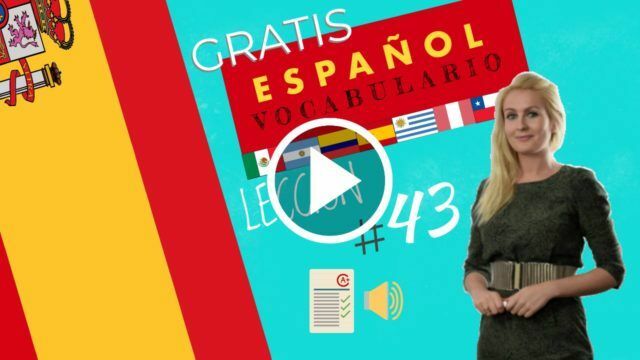 11-The simple perfect tense irregular verbs spanish list.